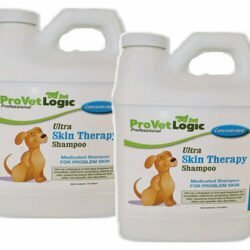 Professional grade animal skin therapy products for veterinary offices, clinics, hospitals, and kennels. Free shipping over $149. Dealer discounts available. 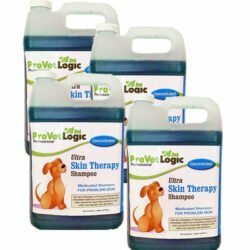 Official ProVetLogic Southwest Regional Distributor. 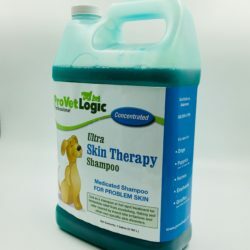 ULTRA SKIN THERAPY MEDICATED SHAMPOO (2) 1/2 gallon container provides immediate relief from scratching, flaking and odor caused by insect-bite irritations and other non-specific skin disorders. There are 2 per case. $1.52 savings per container. 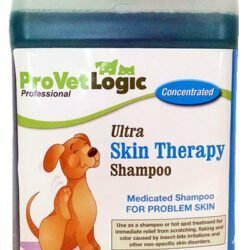 ULTRA SKIN THERAPY MEDICATED SHAMPOO One gallon container provides immediate relief from scratching, flaking and odor caused by insect-bite irritations and other non-specific skin disorders. 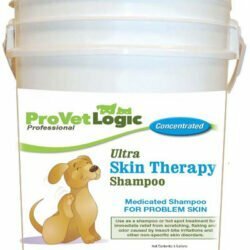 ULTRA SKIN THERAPY MEDICATED SHAMPOO Five gallon container provides immediate relief from scratching, flaking and odor caused by insect-bite irritations and other non-specific skin disorders. 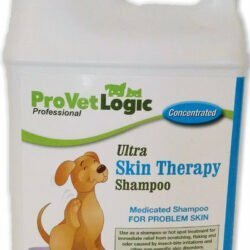 ULTRA SKIN THERAPY MEDICATED SHAMPOO 1/2 gallon container provides immediate relief from scratching, flaking and odor caused by insect-bite irritations and other non-specific skin disorders.